Everyone connected with Brighton and Hove Albion would have savoured Saturday’s 3-1 win over West Ham – and that victory will go down in the annals for a different reason. 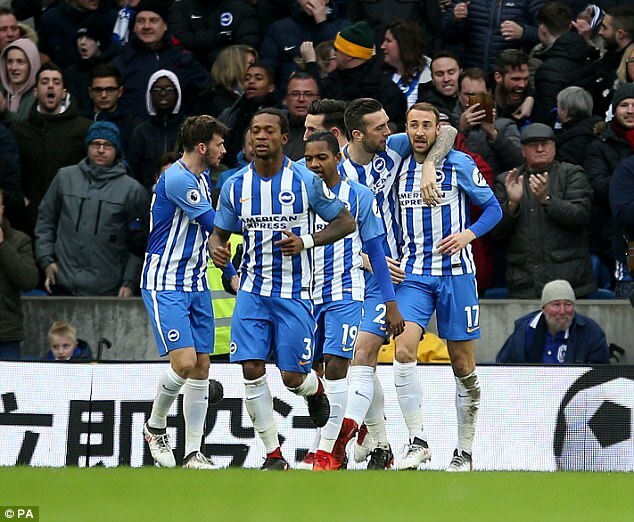 Goals from Glenn Murray, Pascal Gross and Jose Izquierdo secured the triumph at the Amex Stadium – in what proved to be the 10,000th game in Premier League history. Manchester United took revenge on the Tractor Boys for their 3-2 win earlier in the season as they ran riot at Old Trafford. 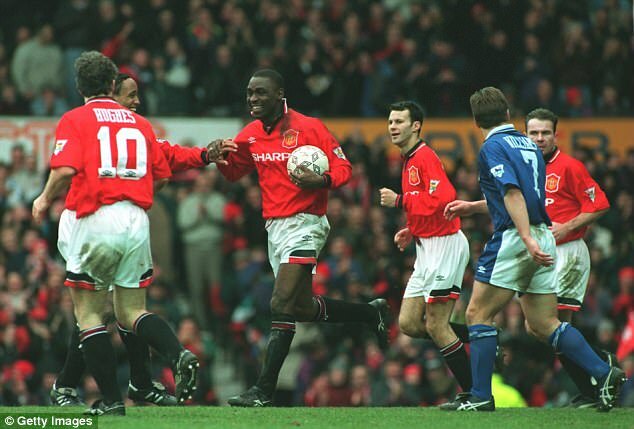 Andrew Cole scored five as Sir Alex Ferguson’s side recorded their biggest league win in 103 years. This victory matching the nine-goal winning margin they recorded in a 10–1 win at home to Wolverhampton Wanderers on October 15, 1892. This was an 11-goal thriller that saw a staggering six of those scored in the last 20 minutes. It was 2-2 at half-time before Portsmouth built up a lead. The scoreline could have been greater had Portsmouth goalkeeper David James not denied left back Nicky Shorey from the penalty spot. With nine different scorers, the encounter also holds the record for the most goal scorers in a Premier League match, jointly held with Arsenal’s 5–4 win at Tottenham in 2004–05. Ferguson’s 1,500th and final game in charge of United before retirement ended up being a classic. 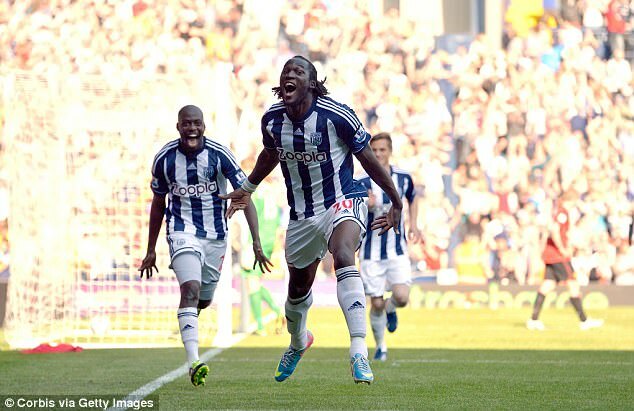 The then-champions were 3-0 up at one point before a Romelu Lukaku hat-trick, as a substitute, inspired a Baggies comeback as United conceded three goals in the space of five minutes. Despite the crazy finish at The Hawthorns, United ended the season 11 points clear of Premier League runners-up Manchester City as Ferguson bowed out of management to a standing ovation from all four corners of the ground. The 41st anniversary of the Munich Air Disaster was met with a gluttony of goals as the United class of 1998-99 hit Nottingham Forest for eight. Ole Gunnar Solskjaer scored a record four as a substitute as the Red Devils took a big step on their way to winning one third of the Treble that season. 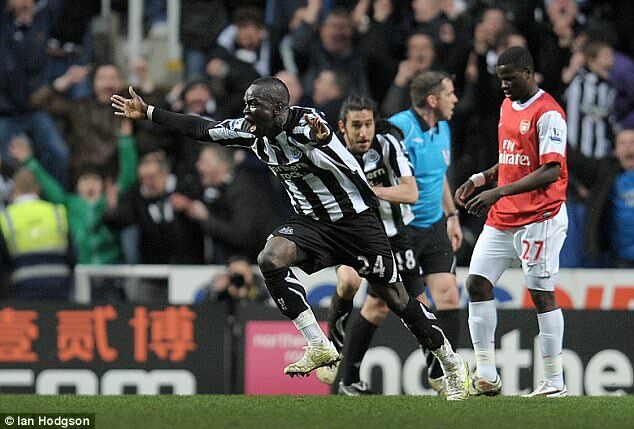 Happier days for Newcastle fans, this. A woeful first-half display saw them trail 4-0 at home to Arsenal before Alan Pardew’s side staged one of the most remarkable comebacks in history. Joey Barton scored twice from the penalty spot, either side of a Leon Best strike, before the late Cheick Tiote sparked mass pandemonium with a stunning 30-yard left-foot volley from outside the penalty area. What more can be said that hasn’t already about this team? This was a historic campaign that is unlikely to ever be repeated again. 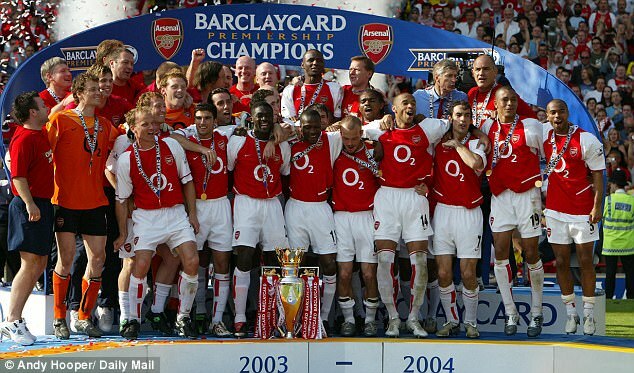 Arsenal played 38 Premier League games and lost none as they marched to unprecedented league title. The iconic 4-4-1-1 formation of Jens Lehmann; Lauren, Sol Campbell, Kolo Toure, Ashley Cole; Freddie Ljungberg, Patrick Vieira, Gilberto, Robert Pires; Dennis Bergkamp; Thierry Henry will never be forgotten. Ruud van Nistelrooy and Wayne Rooney goals saw Arsenal’s unbeaten league run end one game short of the half-century landmark. The hostilities of the match bubbled over at full-time with the now infamous ‘Battle of the Buffet’ which included Cesc Fabregas launching a pizza slice at Ferguson. Manchester United feature heavily in this article – and not always for the right reasons. That’s true again here as Sheffield United forward Brian Deane scored the first ever goal in the Premier League, which came against them. His fifth-minute strike was an easy header from point blank after United goalkeeper Peter Schmeichel was caught out of position. There have been 888 own goals to date with former Manchester City defender Richard Dunne leading the way with 10 of those during his career. Ex-Liverpool centre back Martin Skrtel has scored the most in a single season with four (2013-14). Harry Kane is being touted as a threat to breaking Alan Shearer’s Premier League goalscoring record but the Tottenham talisman has a long way to go before he’s even close to achieving the feat. Shearer scored a staggering 260 goals during a glittering individual playing career at Blackburn and boyhood club Newcastle. 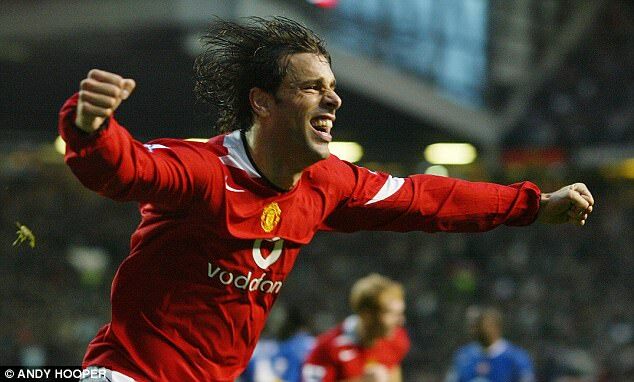 The unique Uruguayan is the only player in Premier League history to score a hat-trick of goals all from outside the box. 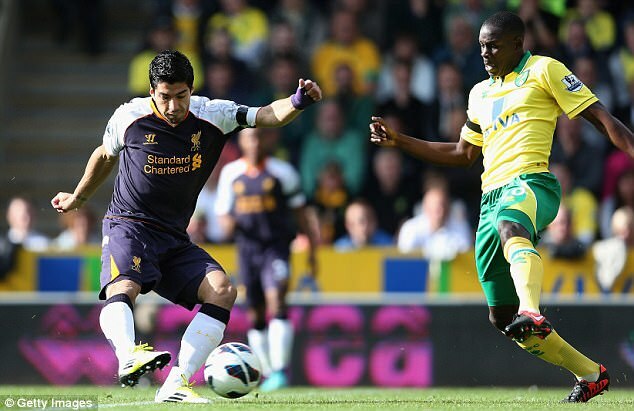 This came in a 5-2 win at Norwich for Liverpool – with the former a side he used to torment on a regular basis. Only once have two players from the same team scored hat-tricks in a single match. The names in question? Jermaine Pennant and Robert Pires who both achieved the feat for Arsenal against Southampton. It’s safe to say they both had different career trajectories after this landmark. Scoring a hat-trick on your Premier League debut is a dream for all strikers – however, only one has ever achieved the feat. Middlesbrough legend Fabrizio Ravenelli did so against Liverpool in an entertaining 3-3 draw at the Riverside Stadium. 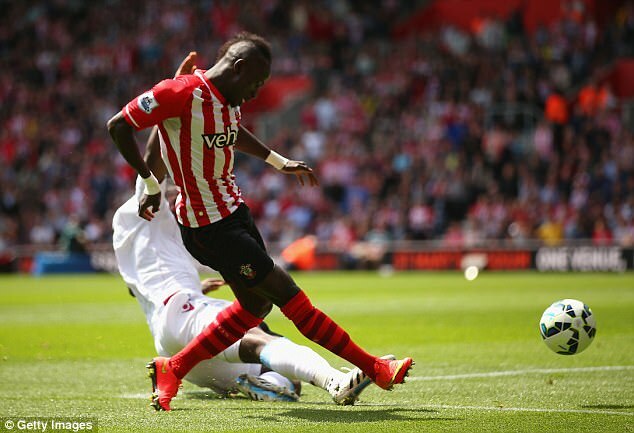 Sadio Mane has been a revelation at Liverpool since he joined, but prior to that he shone for a Southampton side that would love to have him in their ranks now. The Senegal forward is the only player in Premier League history to score a hat-trick in under three minutes – as Aston Villa would testify! Bournemouth’s injured striker Jermain Defoe has aspirations of making England’s World Cup squad for this summer and to catch the eye again he may have to repeat his heroics of nine seasons ago. Then playing for Tottenham, the diminutive forward scored five goals in a single half as Spurs thumped Wigan. Still to this day, no player has scored five in that period of time. Tottenham’s 2-0 win over Manchester United at Wembley on Wednesday saw 81,978 fans watch from within the ground – the highest attendance in Premier League history. The lowest? Wimbledon attracted just 3,039 fans at Selhurst Park as they lost 3-1 at ‘home’ to Everton. And the Most Common Scoreline? For all of its talk as being the ‘most entertaining league in the world’, a 1-0 victory is the most regular scoreline at full-time of a Premier League game. There have been 1,827 of them, in fact. A 2-1 scoreline is second on the list with this result having occurred 1,187 times.